This Sunday I got an interesting question from a friend that had me totally stumped. The question was about the South Beach diet. Many of you have probably heard about this diet which has a line of products in the grocery store. 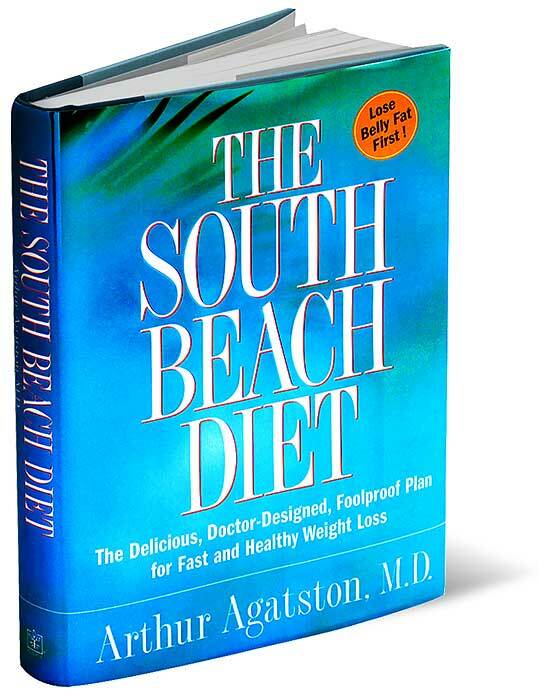 Basically, the South Beach diet was created by cardiologist Dr. Arthur Agatson as a way to help his patients lose weight. Unlike the Atkins diet, which cuts out all carbohydrates, the South Beach diet cuts out carbohydrates such as potatoes, fruit, bread, cereal, rice, pasta, beets, carrots, and corn for the first two weeks and then gradually reintroduces some of these foods. These carbs are higher on the Glycemic Index scale. Basically, the glycemic index is a ranking of foods based on how these foods raise blood glucose. A baked potato ranks high in on the list, while cashews and cherries (for example) are low GI foods. According to this diet “bad carbs” are those that raise blood sugar, causing energy levels to soar and then crash. However, the Glycemic Index may be an oversimplification of how your body responds to certain foods. For example, pure table sugar and sodas rank moderately on the GI index, but whole-grain rice and carrots rank relatively high. I don’t know anyone who ever got fat from eating too much brown rice and carrots, but I definitely know people who have packed on the pounds with too many Big Gulps full of sprite. Furthermore, according to experts, a lot of the initial weight lost on the South Beach diet is excess water weight, not actual fat. My take? The South Beach diet may help you lose weight rapidly, but most of it is water weight, and ultimately, the weight loss may not be sustainable. That doesn’t mean there aren’t some positive aspects to this diet, for example, it encourages eating vegetables, whole grains, lean sources of protein and healthy fats. I think the induction phase in particular may be tough for some people, and it paints certain foods as being “bad”, which is never good in my book. When you ban certain foods, you always end up craving them even more, and cravings lead to binges (which is the WORST thing you can do for your body). The bottom line if you’re looking to lose weight and keep it off is calories in, calories out. No matter what foods you are eating, you have to expend more calories than you are taking in if you want to lose weight (exercise counts toward expending calories, but ultimately you have to watch portion sizes and take a good hard look at what you’re eating). A pound is about 3500 calories. So if you cut out 300 calories a day (two glasses of wine for example), and run for half an hour each day, you can burn 600 calories a day, and lose about a pound a week (depending on your energy needs and build). Some of the biggest sources of calories are alcohol, sugary drinks, and sweets. I would also take a good hard look at portion sizes – a place in which a lot of people struggle. Learn what constitutes a normal portion — 1/2 cup of rice is one portion of grains, 4 oz of chicken is one portion of meat, etc… There is no quick fix for weight loss (as nice as that would be!). The best thing you can do to yourself is treat your body like a temple — feed it nourishing, healthy foods, exercise regularly, and have patience! If you want your weight loss to be sustainable, your body has to do it gradually –rapid weight loss just doesn’t work in the long run.